Department of Applied Zoology, Mangalore University, Mangalagangothri, Mangaluru - 574199, Karnataka, India. ABSTRACT: Aim of the study: The study was aimed to evaluate the antioxidant and anti-inflammatory activities of raw (ARCU) and distilled (ADCU) urine from an adult indigenous cow breed, Malnad gidda. Materials and Methods: Different radical scavenging models assessed antioxidant activity. Anti-inflammatory activity was assessed by carrageenan-induced rat paw edema method. The first group received saline and served as control. The second group received the standard drug Indomethacin (10 mg/kg b.w. ), third (ARCU, 3 mL/kg b.w. ), fourth (ARCU, 6 mL/kg b.w. ), fifth (ADCU, 3 mL/kg b.w.) and sixth (ADCU, 6 mL/kg b.w.) groups served as treatment groups and received the urine samples.1 h later, paw edema was induced by injecting 0.1 mL of carrageenan (1% w/v) in saline solution into the sub-plantar region of the left hind paw of the rats. The paw volume was measured before the injection (basal volume) and after the injection of carrageenan at hourly intervals using Plethysmometer. Results: The ARCU and ADCU treated groups showed significant (P˂0.001) decrease in edema with a maximum inhibition of 81.07%; 72.09% (6 mL/kg b.w.) and 79.53%; 64.47% (3 mL/kg b.w.) at 5 h compared to control. ARCU and ADCU showed potent antioxidant effect on the inhibition of DPPH (IC50: 33.11 and 204.64 µL/mL), superoxide anion (IC50: 19.36 and 371.53 µL/mL), nitric oxide (IC50: 72.44 and 114.81 µL/mL) and hydroxyl free radical (IC50: 53.80 and 75.64 µL/mL). Also, ARCU and ADCU exhibited potent reducing ability (IC50: 8.70 and 8.89 µL/mL). Conclusion: Cow urine (ARCU; ADCU) of an indigenous breed, Malnad gidda exhibited antioxidant and anti-inflammatory activities. INTRODUCTION: Degenerative diseases and premature aging are the results of oxidative stress which is the major concern in the recent past. The antioxidants protect the oxidative damage by reducing the formation of free radicals, scavenging the free radicals, converting free radicals into less harmful molecules 1. Many synthetic antioxidants such as butylated hydroxyanisole (BHA), butylated hydroxytoluene (BHT) and propyl gallate (PG) are commercially available and effectively used as an antioxidant but are in limited use due to toxic effects 2. Hence, the development of natural anti-oxidants gaining more popularity. The role of free radicals mainly reactive oxygen species (ROS) in inflammatory conditions is well studied. The body’s immune system especially phagocytes produces excessive ROS while encountering antigen and causes cellular damage and brings the state of inflammation 3. Nonsteroidal anti-inflammatory drugs (NSAIDs) such as Aspirin, Indomethacin, and Diclofenac are carboxylic acid containing drugs acts on the cyclooxygenase pathway thereby control inflammatory reactions 4, 5. Besides, effective anti-inflammatory NSAIDs usage of these drugs causes severe side effects such as gastrointestinal (GI) ulceration, perforation, obstruction, and bleeding 6, 7. Increased risk of cardiovascular diseases 8, hypertension, edema 9-12 and nephrotoxicity 13 are also reported. Since ancient times animals and animal derived products are part of the traditional medicine but research on medicinal animals and animal products are scanty in comparison to the medicinal plant research 14, 15. Indian ayurvedic books such as Charaka Samhita and Sushruta Samhita quoted traditional use of cow urine as a medicine to treat many disorders. Therapeutic values 17, 18, 19 of cow urine including anti- hepatotoxic 20, 21, anti-diabetic 22, 23, 24, anti-bacterial 25-30, immuno-modulatory 31, 32, wound healing 33, neuro-protective 34, geno-protective 35 activities have been reported. Even though, there are 41 indigenous cow breeds in India (National Bureau of Animal Genetic Resources (NBAGR), Karnal, India) the therapeutic potential of cow urine from Indian breeds are very limited. Therefore, this study was carried out to evaluate the antioxidant and anti-inflammatory activities of urine from an indigenous cow breed- Malnad gidda. Malnad gidda breed: The adult Malnad gidda breed was housed at Bellippadi a village in Puttur taluk, Dakshina Kannada, Karnataka, India (79º 33' 11'' E, 13º 26' 30'' N). The cow was maintained in a traditional shed. The small quantity of green grass, paddy straw was given as food, throughout the study period 21. Collection of Urine Sample: The early morning first voided urine was collected and filtered using 0.2 µ filter syringe and used as ARCU (Adult Raw Cow Urine). Part of the urine samples was distilled using glass distillation apparatus at 100 ºC and referred as ADCU (Adult Distilled Cow Urine). In-vitro Antioxidant Studies: DPPH free radical scavenging activity 36, superoxide anion scavenging activity 37, nitric oxide radical scavenging activity 38, hydroxyl radical scavenging activities 39 were analyzed using standard protocol and % inhibition was calculated by using the formula. Reducing power assay 40 was done to check reducing the capacity of cow urine samples. Ascorbic acid (20-100 μg /mL) was used as a standard for all the analysis and experiments were performed in triplicate and IC50 values were calculated. The details are as follows. DPPH Free Radical Scavenging Activity: The free radical scavenging activity of the urine samples were measured by using 2, 2-diphenyl-1-picrylhydrazyl (DPPH). The control was prepared by taking the same volume of DPPH and solvent (methanol) without urine sample. 100 μL of DPPH (0.2 mM DPPH in methanol) were added to 100 μL of different concentrations of urine samples (20, 40, 60, 80, 100 μL /mL) in a 96 - well plate. The reaction mixture was kept at room temperature in the dark for 20 minutes, and then absorbance was measured at 517 nm against blank. The percentage of DPPH radical scavenged was calculated using the above formula. Superoxide Anion Scavenging Activity: The reaction mixture was prepared by adding 1 mL of nitro blue tetrazolium (NBT) solution (156 mM NBT in 100 mM phosphate buffer, pH 7.4), 1 mL of NADH solution (468 mM in 100 mM phosphate buffer, pH 7.4) and 100 mL of different concentrations (20, 40, 60, 80, 100 μL/mL, in water) of urine samples. 100 mL of phenazine methosulphate (PMS) solution (60 mM PMS in 100 mM phosphate buffer, pH 7.4) was added to the mixture and incubated at 25 ºC for 5 min. The absorbance was recorded at 560 nm against blank. The control was prepared by adding the same volume of above reaction mixture except for urine samples. Percentage of superoxide anion radical scavenged was calculated using the above formula. Nitric Oxide Radical Scavenging Activity: Nitric oxide (NO) radical was generated from sodium nitroprusside solution (pH 7.4). 1 mL of sodium nitroprusside (10 mM) was mixed with 1 mL of different concentrations (20, 40, 60, 80, 100 μL/mL) of urine sample, in phosphate buffer (pH 7.4). These mixtures were incubated at 25 °C for 2 h 30 min. 1 mL of incubated solution was added with 1mL of Griess’s reagent (1% sulphanilamide, 2% o-phosphoric acid and 0.1% naphthyl ethylenediamine dihydrochloride). The absorbance was read at 546 nm against blank. The control was prepared by adding the same volume of the above reaction mixture except for urine sample. Percentage of nitric oxide radical scavenged was calculated using the above formula. Hydroxyl Radical Scavenging Activity: The reaction mixture was prepared by adding 1 mL urine sample (20-100 μL/mL), 0.1 mL EDTA (1 mM), 0.1 mL FeCl3 (10 mM), 0.1 mL H2O2 (10 mM) and 0.36 mL of Deoxyribose (10 mM) ,0.33 mL of phosphate buffer (50 mM, pH 7.4) and 0.1 mL of ascorbic acid (1 M) in sequence. The mixture was incubated at 37 ºC for 1 h. 1 mL of incubated mixture was mixed with 1 mL of 10% trichloroacetic acid (TCA) and 1 mL of 0.5% thiobarbituric acid (TBA). Absorbance was measured at 532 nm. The control was prepared by adding the same volume of the above reaction mixture except for urine sample. Percentage of hydroxyl radical scavenged was calculated using the above formula. Reducing Power Assay: Different concentrations of urine samples were made up to 1 mL with 20 mM phosphate buffer (pH 6.6). 500 µL of 1% potassium ferricyanide (K3Fe(CN)6) was added, and the mixture was incubated at 50 °C for 20 min. The reaction was terminated by adding 500 µL of 10% TCA solution. To this, 1.5 mL of distilled water and 300 µL of 0.1% ferric chloride (FeCl3) solution were added and incubated at room temperature for 10 min. The absorbance was measured at 700 nm against blank. The control was prepared by adding the same volume of above reaction mixture except for urine sample. Experimental Animals and Dose Selection: Wistar rats (Rattus norvegicus) weighing around 170-200 g were maintained under standard condition (12 h light / dark cycle; 23 ± 2 ºC, 50 ± 5% humidity) and were fed with standard feed and tap water ad libitum. The experimental protocols were approved by the institutional animal ethical committee (IAEC) before the initiation of the experiment (SCP/IAEC/F150/P15/2015). Since, animal equivalent dose (AED) was reported for cow urine samples from human dose (60 mL/day), 3 mL and 6 mL/kg b.w. Dose was selected for this study 20, 28. Carrageenan-Induced Rat Paw Edema Method: For this study, rats were fasted for 12 h and were divided into six groups consisting of 6 animals. The details on these groups are given in Table 1. Statistical Analysis: The experimental groups were compared by one- way ANOVA, followed by Dunnett’s multiple comparison post hoc tests. ANOVA values were calculated using Graph Pad Prism Version 7. RESULTS: The DPPH free radical, superoxide anion, nitric oxide radical, hydroxyl radical scavenging activities have been affected by both raw and distilled cow urine in a dose-dependent manner. DPPH Free Radical Scavenging Activity: A maximum inhibition of 74.06 (IC50: 33.11 µL/mL) and 37.96% (IC50: 204.64 µL/mL) by ARCU and ADCU respectively at 100 µL/mL, 91.46% (IC50: 2.88 µg/mL) by Ascorbic acid (100 µg/mL) was observed Fig. 1. Superoxide Anion Scavenging Activity: At the concentration of 100 µL/mL, maximum inhibition for superoxide anion was displayed by ARCU (79.75%, IC50:19.36 µL/mL) compared to ADCU (38.07%, IC50: 371.53 µL/mL). Ascorbic acid (100 µg/mL) showed the maximum inhibition of 84.54% (IC50: 1.44 µg/mL) Fig. 2. Nitric Oxide Radical Scavenging Activity: Nitric oxide free radical scavenging activity was higher in ARCU (67.19%, IC50: 72.44 µL/mL) compared to ADCU (48.50%, IC50: 114.81 µL/mL) at the concentration of 100 µL/mL. Ascorbic acid (100 µg/mL) showed the maximum inhibition of 92.22% (IC50: 36.30 µg/mL) Fig. 3. Hydroxyl Radical Scavenging Activity: ARCU displayed higher hydroxyl radical scavenging activity by showing maximum inhibition (71.97%, IC50: 53.98 µL/mL) compared to ADCU (58.01%, IC50: 75.64 µL/mL) at the concentration of 100 µL/mL. Ascorbic acid (100 µg/mL) showed the maximum inhibition of 90.73% (IC50: 16.28 µg/mL) Fig. 4. Reducing Power Assay: Reducing the power of ARCU found to be maximum (IC50: 8.70 µL/mL) since it showed maximum absorbance (1.60) compared to ADCU (IC50: 8.89 µL/mL) at the concentration of 100 µL/mL. Ascorbic acid (100 µg/mL) showed the maximum absorbance of 2.82 (IC50: 3.80 µg/mL) Fig. 5. Carrageenan-Induced Rat Paw Edema: The mean basal volume of paw before the injection of carrageenan (control group) was 0.18 ± 0.05, and after the injection of carrageenan, mean variations in paw volume were at 1 h (0.45 ± 0.00); 3 h (0.59 ± 0.02); 5 h (0.69 ± 0.02). Edema inhibitions in the standard and cow urine treated groups were calculated concerning the carrageenan control group. Indomethacin showed a clear inhibition of the inflammation induced by carrageenan compared to control group (P˂0.001) at all the tested time intervals with a maximum inhibition of 94.57% at 5 h. The ARCU at high dose (6 mL/kg b.w.) has shown significant (P˂0.001) decrease in edema at different time intervals (1 h, 3 h, and 5 h) with a maximum inhibition of 81.07 % at 5 h. Low dose (3 mL/kg b.w.) has shown a significant (P˂0.001) decrease in the edema at 1 h, 3 h and 5 h with a maximum inhibition of 79.53% at 5 h compared to the carrageenan control group. The ADCU treated groups (at both the test doses) have shown dose-dependent recovery with a significant (P˂0.001) significant decrease in the edema having maximum inhibition of 64.47% (3 mL/kg b.w.) and 72.09% (6 mL/kg b.w.) at 5 h compared to carrageenan control group Fig. 6. DISCUSSION: In this study, ARCU and ADCU from an indigenous cow breed Malnad gidda were tested for its antioxidant and anti-inflammatory activities. DPPH free radical gains one or more electron and the absorbance decreases in the presence of antioxidants. In this study, the bleaching of DPPH absorption reflects on proton donating ability and thereby free radical inhibition ability of ARCU and ADCU 41. Superoxide anion is produced by some metabolic reactions in the body. Even though they are not directly involved in lipid peroxidation, they are the precursor molecules of hydroxyl free radical generation. Superoxide anion scavenging ability of ARCU and ADCU explains its efficacy as an antioxidant. Nitric Oxide (NO) plays an important role in several physiological functions. However, elevated NO level was found in pathological conditions such as diabetes and cardiovascular diseases. Sodium nitroprusside (SNP) acts as the main source of NO generation. NO hence produced reacts with oxygen and forms nitrite. ARCU and ADCU inhibited the formation of nitrite by directly competing with oxygen, thereby reveals its potential NO scavenging ability 2. Hydroxyl free radicals are the products of oxygen metabolism and are highly reactive towards biological molecules and bring the state of oxidative stress. In hydroxyl radical scavenging assay, the incubation of ferric - EDTA with H2O2 and ascorbic acid at pH 7.4 generated hydroxyl radicals. These radicals were distinguished by their ability to degrade 2-deoxy-D-ribose into fragments, on heating with thio barbituric acid (TBA) at low pH resulting in a pink chromogen 42. The presence of antioxidants in ARCU and ADCU induced the removal of hydroxyl radicals and prevented the degradation of 2-deoxy-D-ribose in a concentration-dependent manner. The reducing ability (reduction of Fe3+ to Fe2+) indicates the electron donating ability and thereby free radical stabilizing ability of ARCU and ADCU. This also reflects on its potent antioxidant activity 43. ARCU exhibited potent antioxidant effect on the inhibition of DPPH (IC50: 33.11 vs. 204.64 µL/mL), superoxide anion (IC50: 19.36 vs. 371.53 µL/mL), nitric oxide (IC50: 72.44 vs. 114.81 µL/mL), hydroxyl (IC50: 53.8 vs. 75.64 µL/mL) over ADCU. Besides, ARCU showed better reducing ability (IC50: 8.70 vs. 8.89 µL/mL) compared to ADCU. Similar results were reported when Gir raw cow urine and its distillate (1 to 5 mg/mL) were studied for antioxidant activity by using DPPH and superoxide anion radical scavenging methods. They opined that both fresh cow urine and distillate have the ability to inhibit free radicals such as DPPH (IC50: 3.0 mg/mL; 5.1 mg/mL) and superoxide anion (IC50: 2.9 mg/mL; 5.0 mg/mL). However, raw cow urine scavenged the free radicals more efficiently than distillate 44. This profound antioxidant activity may be because of the presence of volatile fatty acids as revealed by GC-MS analysis 45. Mechanism of carrageenan-induced paw edema involves two phases. The early phase (1-2 h) attributes to release of histamine and serotonin. The second phase (3-6 h) involves the release of prostaglandins synthesized by cyclooxygenase (COX). The continuing release of kinins occurs in both the phases. This, acute inflammation also contributes neutrophil infiltration and activation 46. Other mediators of carrageenan-induced paw edema are free radicals such as superoxide anion, hydroxyl, and nitric oxide. Being a potent vasodilator, nitric oxide increases the vascular permeability and edema. Nitric oxide also can enhance prostaglandin synthesis. Furthermore, nitric oxide reacts with superoxide anion and forms peroxynitrite (ONOO-) which causes lipid peroxidation results in cellular damage. ARCU and ADCU inhibited the edema in both the phases in a dose-dependent manner. Inhibition of edema in the first phase by ARCU and ADCU could be due to the suppression of histamine H1 receptor and histidine decarboxylase gene transcriptions. Besides, ARCU and ADCU showed constancy in inhibiting the paw edema in the second phase and displayed maximum inhibition at 5 h. This is probably due to the inhibition of inflammatory enzymes (iNOS and COX-2) and their products (NO and PGE2) 47. Free radical has been proposed to play an important role in the carrageenan-induced acute inflammatory response. Therefore, the anti-inflammatory activity of cow urine may be due to its antioxidant activity as confirmed by the above findings. Besides, a more prominent effect of ARCU over ADCU because of its better antioxidant activity as evident in the present study. CONCLUSION: The results of the study indicate that cow urine possesses potent antioxidant and anti-inflammatory activities. Besides, Adult Raw Cow Urine (ARCU) has displayed more efficacy compared to Adult Distilled Cow Urine (ADCU). Also, the study highlighted the positive therapeutic potential of cow urine from an indigenous breed Malnad gidda. ACKNOWLEDGEMENT: The author B. Rachana is grateful to the University Grant Commission (UGC), New Delhi, India for awarding research fellowship under Basic Science and Research (UGC-BSR). Atashi F, Modarressi A and Pepper MS: The role of reactive oxygen species in mesenchymal stem cell adipogenic and osteogenic differentiation - A review. Stem Cells and Development 2015; 24: 1150-1163. Archana I and Vijayalakshmi K: Antioxidant potential of Phloroglucinol- An in-vitro International Journal of Pharmaceutical Sci and Res 2018; 9: 2947-2951. Aviello G and Knaus UG: ROS in gastrointestinal inflammation-Rescue or Sabotage? British Journal of Pharmacology 2016; 174: 1704-718. Marnett LJ: The COXIB experience - A look in the rearview Annual Review of Pharmacology and Toxicology 2009; 49: 265-290. Inotai A, Hanko B and Meszaro A: Trends in the non-steroidal anti-inflammatory drug market in six central-eastern European countries based on retail information. Pharmacoepidemiology and Drug Safety 2010; 19: 183-190. Vonkeman HE and Van de Laar MA: Nonsteroidal anti-inflammatory drugs - Adverse effects and their prevention. Seminars in Arthritis and Rheumatism 2010; 39: 294-312. Garcia Rodriguez LA, Tacconelli S and Patrignani P: Role of dose potency in the prediction of risk of myocardial infarction associated with nonsteroidal anti-inflammatory drugs in the general population. Journal of American College of Cardiology 2008; 52: 1628-1636. Rosenson RS: Future role for selective phospholipase A2 inhibitors in the prevention of atherosclerotic cardiovascular disease. Cardiovascular Drugs and Therapy 2009; 23: 93-101. Meek IL, Van de Laar MAFJ and Vonkeman HE: Non-steroidal anti-inflammatory drugs - An overview of cardiovascular risks. Pharmaceuticals 2010; 3: 2146-2162. Walter HH: Nonsteroidal anti-inflammatory drugs and the kidney. Pharmaceuticals 2010; 3: 2291-2321. Bannwarth B: Safety of the nonselective NSAID nabumetone - focus on gastrointestinal tolerability. Drug Safety 2008; 31: 485-503. Ragia H, Mohamed A and Madiha A: Cardiorenal effects of Newer NSAIDs (Celecoxib) versus classic NSAIDs (Ibuprofen) in patients with arthritis. Journal of Toxicology 2011; 1-8. Harirforoosh S and Jamali F: Renal adverse effects of nonsteroidal anti-inflammatory Drugs. Expert Opinion on Drug Safety 2009; 8: 669-681. Alves RR, Rosa IL and Santana GG: The role of animal-derived remedies as complementary medicine in Brazil. Bioscience 2007; 57: 949-955. Alves RR, Vieira WLS and Santana GG: Reptiles used in traditional folk medicine- conservation implications. Biodiversity Conservation 2008; 17: 2037-2049. Thakur AN: Therapeutic use of urine in early Indian medicine. Indian Journal of History Science 2004; 39: 415-427. Mohanty I, Senapati MR, Jena D and Pallai S: Diversified uses of cow urine. International Journal of Pharmacy and Pharmaceutical Science 2014; 6: 20-22. Randhawa GK and Sharma R: Chemotherapeutic potential of cow urine - A review. Journal of Intercultural Ethnopharmacology 2015; 4: 180-186. Singla S and Kaur S: Biological activities of cow urine- an ayurvedic elixir. European Journal of Pharmaceutical and Medical Research 2016; 3: 118-124. Gururaja MP, Joshi AB, Joshi H, Sathyanarayana D, Subrahmanyam EVS and S: Attenuation of carbon tetrachloride-induced hepato-toxicity by cow urine distillate in rats. Biomedical and Environmental Science 2009; 22: 345-347. Rachana B, Sreepada KS and Hegde K: Protective effects of urine from Malanad gidda an indigenous cow breed on paracetamol treated Wistar Journal of free radicals and antioxidants 2016; 143: 426-435. Gururaja MP, Joshi AB, Joshi H, Sathyanarayana D and Subrahmanyam EVS and Chandrashekhar KS: Anti-diabetic potential of cow urine in streptozotocin-induced diabetic rats. Asian Journal of Traditional Medicine 2011; 6: 8-13. Kadagi M, Jayakumar K, Shridhar, NB, Narayanaswamy HD and Narayanaswamy M and Manjunatha KP: Evaluation of the hypoglycemic effect of cow urine distillate in a streptozotocin-induced diabetic rat model. Journal of Cell Tissue Research 2012; 12: 3317-3322. Reddy MVB, Karthik A and Sasikala P: Protective role of Punganur cow urine on streptozotocin-induced diabetes in rats. 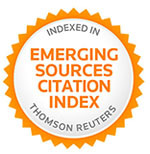 International Research Journal of Pharmacy 2013; 4: 164-167. Ahuja A, Kumar P, Verma A and Tanwar R: Anti-microbial activities of cow urine against various bacterial strains. International Journal of Recent Advances in Pharmaceutical Research 2012; 2: 84-87. Rana R and De S: In-vitro antimicrobial screening of cow urine - A potential natural anti-microbial agent. International Journal of Bioassays 2013; 2: 436-439. Tyagi PK, Tyagi S, Sarsar V and Pannu R: Cow urine- An anti-microbial activity against pathogens and their possible uses. 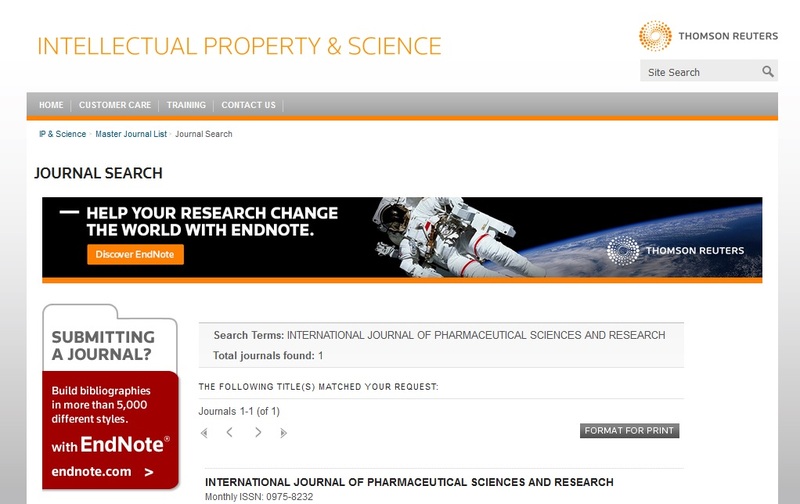 International Journal for Pharmaceutical Research Scholars 2013; 2: 427-433. Sarsar V, Selwal KK, Selwal MK, Pannu R and Tyagi PK: Evaluation of antibacterial activity of photoactivated cow urine against human pathogenic strains. Environmental and Experimental Biology 2013; 11: 201-203. Raad S, Deshmukh DV, Harke SN and Kachole MS: Anti-bacterial activity of cow urine against some pathogenic and non-pathogenic bacteria. International Journal of Pharmaceutical Science and Research 2013; 4: 1534-1539. Minocheherhomji FP and Vyas BM: Study of the anti-microbial activity of cow urine and medicinal plant extracts on pathogenic human microbial strains. International Journal of advances in Pharmacy, Biology and Chemistry 2014; 3: 836-840. Chauhan RS, Singh BP and Singhal LK: Immuno-modulation with kamdhenu ark in mice. Journal of Immunology and Immunopathology 2011; 3: 74-77. Verma A, Kumar B, Singh KM and Kharya MD: Immunomodulatory potential of cow urine. Der Pharmacia Lettre 2011; 3: 507-513. Hirapara HN, Ghori VM, Anovadiya AP and Tripathi CR: Evaluation of wound healing activity of cow urine ark in diabetic Wistar albino rats. Journal of Intercultural Ethnopharmacology 2016; 5: 434-438. Sharma S and Chadha P: Induction of neuro-toxicity by organophosphate pesticide chlorpyrifos and modulating role of cow urine. Springerplus 2016; 5: 1344-1350. Sharma S, Chadha P and Sharma M: Kamdhenu ark as a geno-protective agent against Chlorpyrifos induced genotoxicity. International Journal of Science and Research 2014; 3: 1337-1342. Yang H, Dong Y, Du H, Shi H, Peng Y and Li X: Antioxidant compounds from propolis collected in Anhui, China. Molecules 2011; 16: 3444-3455. Gulcin I, Oktay M, Vioglu IKO and Ali A: Determinations of antioxidant activity of lichen Cetraria islandica (L.) Ach. Journal of Ethnopharmacology 2002; 79: 325-329. Mondal SK, Chakraborty G, Gupta M and Mazumder UK: In-vitro antioxidant activity of Dispyros malabarica Kostal bark. Indian Jou of Experimental Biology 2004; 44: 39-44. Rajeshwar Y, Senthil Kumar GP, Malaya G and Muzumdar UK: Studies on in-vitro antioxidant activities of methanol extracts of Mucuna pruries (Fabaceae) seeds. European Bulletin on Drug Research 2005; 131: 31-38. Yen GC and Chen HY: Antioxidant activity of various tea extracts in relation to their antimutagenicity. Journal of Agriculture and food Chemistry 1995; 43: 27-34. Bajpai VK, Sharam A, Kim SH, Kim JJ and Baek KH: Microwave-assisted seed essential oil of Eleutherococcus senticosus and its antioxidant and free radical scavenging activities. Jou of Food Biochemistry 2013; 37: 119-127. Benslama A and Harrar A: Free radicals scavenging activity and reducing power of two Algerian Sahara medicinal plants extracts. International Journal of Herbal Medicine 2016; 4: 158-161. Jarald E, Edwin S, Tiwari V, Garg R and Toppo E: Antioxidant and anti-microbial activities of cow urine. Global Journal of Pharmacology 2008; 2: 20-22. Krishnamurthi K, Dutta D, Sivanesan SD and Chakrabarti T: Protective effect of distillate and redistillate of Cow’s urine in human polymorphonuclear leucocytes challenged with established genotoxic chemicals. Biomedical and Environmental Science 2004; 17: 247-256. Mansouri MT, Hemmati AA, Naghizadeh B, Mard SA, Anahita Rezaie and Ghorbanzadeh B: A study of the mechanisms underlying the anti-inflammatory effect of ellagic acid in carrageenan-induced paw edema in rats. Indian Journal of Pharmacology 2015; 47: 292-298. Zabihi M, Hajhashemi V, Minaiyan M and Talebi A: Evaluation of the central and peripheral effects of doxepin on carrageenan-induced inflammatory paw edema in the rat. Research in Pharmaceutical Sciences 2017; 12: 337-345. Rachana B and Sreepada KS: Antioxidant and anti-inflammatory activities of cow urine from Malnad gidda - an indigenous breed. Int J Pharm Sci & Res 2019; 10(2): 612-18. doi: 10.13040/IJPSR.0975-8232.10(2).612-18.